Very often the secret to high productivity and reliable parts lies in the uniformity of the furnace/oven. For production ovens, uniformity is a key concern for ensuring quality. Energy efficiency and uniformity are increased by improving the delta-star transition where possible, and also by introducing the proper convection environment. 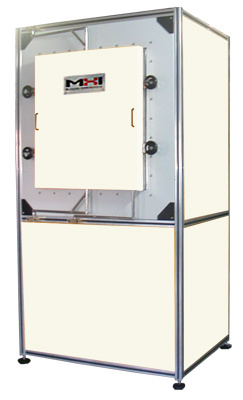 The unique Airtorch models and steam generators offered by MHI are able to offer the correct convection in ovens and furnaces. The designs below are examples of Efficient Power and Uniform Temperature for an Oven with Airtorch or Steam. 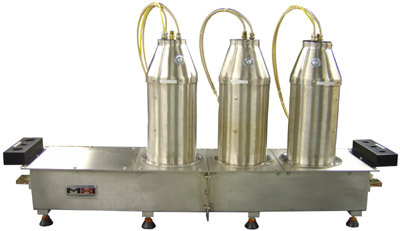 Energy efficient circulating Hot Air or Steam Oven with convertible compartments and uniform temperature distribution. Ageing, drying, curing, dental, laboratory and many more. On account of the Airtorch Versatility Special Convective Ovens can be considered for moving parts for debinding, degreasing. Use steam for paint removal.